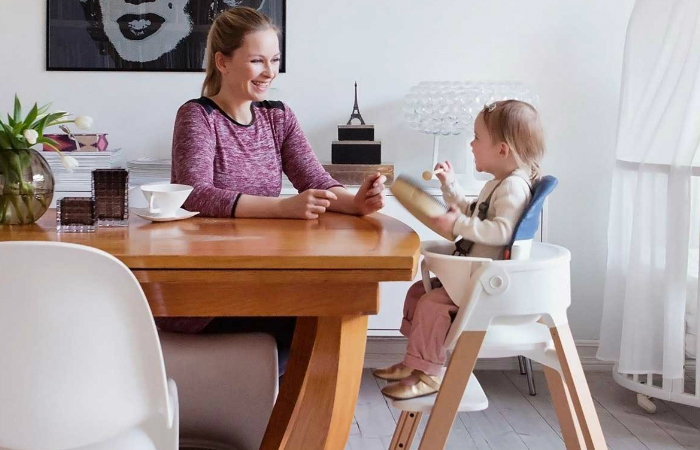 Before you snap some pictures for another milestone, you need to make sure that your baby can really handle sitting on a high chair. We’re talking about exposing your child to heights, so it’s best to think twice. When should a baby sit in a high chair? In order to answer the question, there are two crucial factors to think about. When do babies sit up and, at the same time, eat solid food? According to Healthline, a baby can already sit up at six months old. However, that age still requires your support and close monitoring. The usual age of independence when it comes to sitting up starts at seven months old. Meanwhile, based on the transition tips of Mayo Clinic, a lot of babies can start eating solid food at four months old. But, that doesn’t mean you may use a high chair to help you feed. That age is still too fragile for sitting without your support. Considering the aforementioned stages of infant development, what’s the safest age for high chairs? We suggest waiting until your baby is seven months old. However, it’s still your decision to make if your child knows how to sit up earlier than expected. When should a baby sit in a high chair? Even though some babies are ready to eat solid food at the age of four months, they’re not yet ready to sit independently. That’s why you should wait until your child can sit on his own before putting him on a high chair.